Quo Vadis? : Can you please shut up!!!! The IPL6 has been better I suppose simply by counting the number of nails I must have lost thanks to the last over heroics of the Chennai Super Kings. And there have been some performances that have ensured that mediocrity and excellence were adequately represented along with the average performances in between. After the CSK I am partial to the Royals from Rajasthan led by Rahul Dravid. This year they are leading the fair play award (just ahead of CSK) and have played quite well, especially in their desert fortress. I am hoping that they will make the playoffs along with the other surprise package the Sunrisers who have fought gamely with a decent side. I would be happy if they also do make it at the expense of the KKR who are busy shooting themselves in the foot constantly this year. The toss off should be between RCB & MI who should both qualify unless RR or SRH will otherwise. What should be a pleasant viewing exercise is getting disturbed by the attack on our aural senses by the commentators. The basic qualification to be a commentator is to be a player of any repute communication skills be damned. If you notice I mentioned communication skills, sadly many of those in the box lack them and they try to make up for their shortcomings by histrionics or buffoonery the type best exemplified by the man in the bright coloured headgear and matching ties. Some others use a constipated tone that after a point becomes monotonous to everyone else or a tone of perpetual arousal which is best ignored. And the lure of the money has felled even the diplomatic gentlemen few of whom can be seen squirming in the presence of the above mentioned and grinning and bearing it while speaking their lines. I have always been irritated by the supercilious tone used by a legend who shares his wisdom on the limited over game and the T20 version when he will be still remembered for one of the slowest ODI innings ever played. On the T20 field semi skilled players may get away but only skilled professionals should take a mike. This elder has made it a habit of joining the buffoon and believing himself to be an entertainer now is attempting to match the verbal diarrhoea line for line and making me drop my head in disgust. There are some cricketers who by virtue of their education, grooming or innate skills are exceptional on the mike, there is of course one professional who graduated from the radio and has mastered the winning way atleast on the mike. But these are few and far between most of the time it is the simple option of the mute button which helps considerably. Finally the hostesses may bring the glamour to the space filler shows but can they not find someone who can speak English without the accent? It just seems that Chennai not only has the better team but also has the better hostess. You echoed my thoughts. I wish someone would say that was a six instead of a DLF maximum or whatever that is. Ewww. Not eligible to comment since I haven't watched a single match. May the best team win. 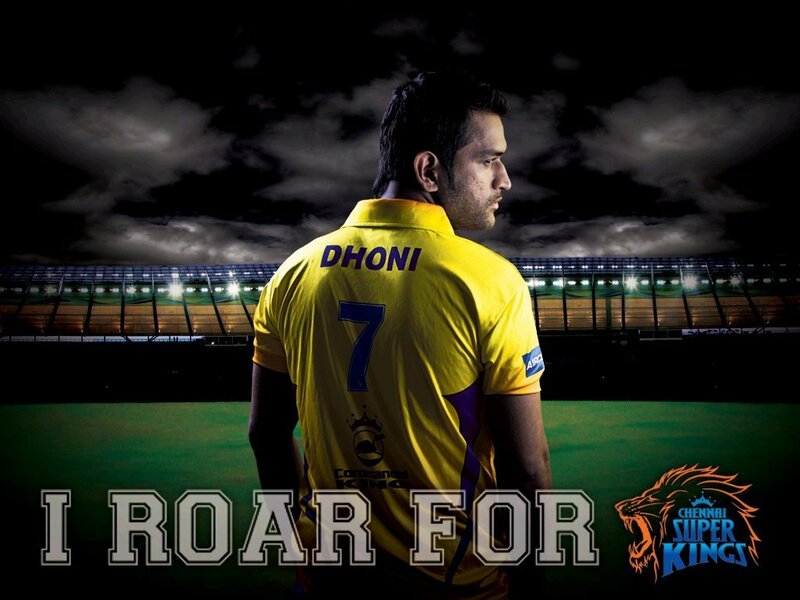 Whistle podu pa.